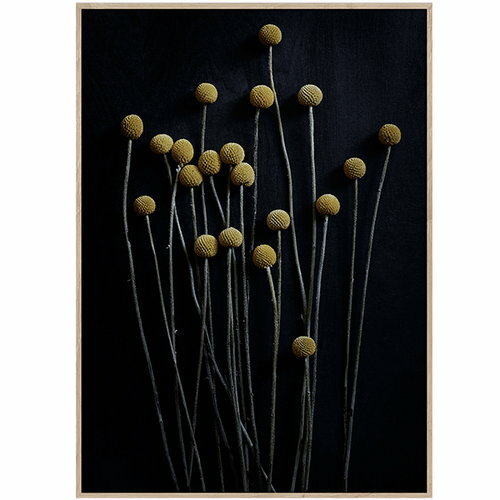 The Yellow Drumsticks poster from Paper Collective features a group of long-stemmed drumstick flowers, also known as billy buttons, against a dark background. 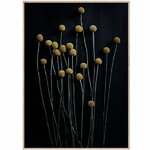 The painting-like photo is the work of photographer Pia Winther and belongs to the Still Life collection. Paper Collective's posters are printed in limited editions of 200–500 and 10 percent of each sold poster will be donated to a good cause chosen by the artist. The artists include renowned illustrators, graphic designers and photographers across the world, whose work is well suited for contemporary decor.